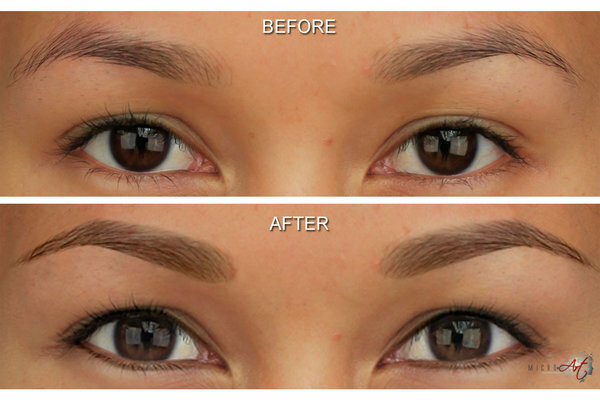 Are you tired of visiting the beauty parlors every fortnight to get perfectly groomed eyebrows? Wouldn’t you love it if you could get perfect features without spending too long in front of the mirror every day? Now you can go to the gym, dance all night, and wake up in the morning with your morning fresh and intact. Most of your makeup related issues would settle by trying out the permanent makeup. The popularity of the permanent makeup is growing with every passing day. It is welcomed as a relief from every day, tedious and time-consuming makeup ritual. Permanent cosmetic is known by several names, the most common being micro pigmentation, cosmetic tattooing and derma pigmentation.It is a technique used to enhance and contour the facial features. The makeup involves depositing color pigments of mineral origin in the upper layers of the skin. Just like tattoo designs, a practitioner draws the lips, eyeliner and a set of perfect eyebrows to give you a beautiful and flawless face. The makeup is not performed by tattoo artists, but by micro-pigmentation specialists. Permanent makeup ideas date back to the 20th century. It was developed by George Burchett, a major developer of the permanent makeup technique. Women during those times would get their skin injected with a vegetable based due to get a flawless complexion. The rules and regulations for the permanent makeup vary from country to country and even city to city. The health authorities for the skin penetration procedures regulate the permanent cosmetic tattoo salons. In home tattooing, also known as mobile tattooing is prohibited in some locations. The permanent makeup is an excellent option for people who have scars, patches and other skin illness. It is used to produce artificial eyebrows in people who have lost it due to old age, chemotherapy and other diseases. It helps to soften or camouflage scars, vitiligo, uneven pigmentation and leukoderma patches. It can also reconstruct the breast’s areola lost due to mastectomies. Permanent makeup is done mainly to shape the eyebrows, lips and get perfectly defined eyes. Permanent makeup is best for people who cringe on visiting the parlors for getting their eyebrows done. People who lose their eyebrows due to terminal diseases and medication can also benefit from it. The eyebrows will not only look natural, but will also last for a long time. The eyebrows are shaped by making an exact copy of each hair at the microscopic level. The fine hair stimulation process is done between the existing hairs to give the brows a more natural look. 90% deep brown color with a hint of black is used to fill the brows as complete black shade turns greenish blue with time. A perfect black liner adds dimension to a woman’s eye. However, drawing a perfect line can give hard time to many women. 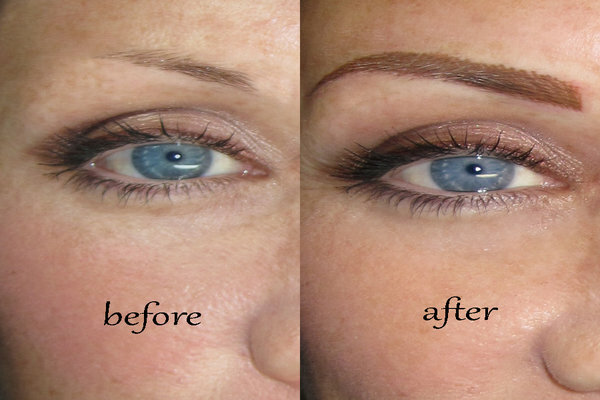 Permanent makeup can help you get perfectly lined and beautiful eyes in just a few hours. The eyeliner is perfect for women whose eyes look pale and hollow due to sparse eyelashes. Just like the over the counters eyeliner, the permanent liner can be applied in many styles and color. However, most of the people avoid the dramatic colors and stick to natural black only. Do you want to make your thin lips, luscious and full without going under the knife? Then permanent makeup can be a great solution for you. A permanent makeup works wonders to define the shape, color and symmetry of the lips. Permanent makeup can also return the natural pink tint of the lips. Indian women usually opt for a blend of brown and red, a hue close to their natural color of the lips. A beauty spot at the correct place can add sensuality to your overall look. Do not sulk if you don’t have one. Permanent makeup can help you get the most sensuous beauty spot at the exact place you want. Permanent makeup is not as expensive as it seems. It costs just a fraction compared to the other cosmetic procedures. The cost of the treatments ranges from RS 3000 to Rs 10,000, depending on the service you choose. The permanent makeup results may look darker at first stance due to the color remaining in the outer layers of the skin. The color softens after a few days when the upper layers of the epidermis slough off, giving birth to new epidermal cells. Sometimes, the results can even go unnoticeable, depending on the color value and pigment used. Some makeup colors can migrate, giving creepy results. This is most likely to happen if the practitioner uses black Indian ink, which is prohibited in micro pigmentation. The colors have tiny particles that can stain the skin. Sun exposure is one of the major causes of fading of the permanent makeup colors. You may need to get your makeup frequently touched up if you spend a lot of time in the sun. The amounts and color of the pigment deposit at the dermal levels is also an important factor affecting the length of the colors. Lighter colors are more prone to fading than black and dark blue. Light to medium colored eyebrows require maintenance every 2 to 3 years, while eyeliner will require touch ups every 2 to 5 years. Fading also varies from person to person. The dye reacts differently on each skin tone and type. To keep the makeup in a good condition, regular touch up and color enhancement is recommended. Removal of permanent makeup can be extremely difficult and expensive. It can be painful and laborious than the tattooing itself, particularly from the lips and eyelids. They can even leave behind permanent scars. The common techniques to adopt for removing permanent makeup are dermabrasion, surgical removal and laser resurfacing. It would be better on the part of the practitioner to make the client aware of the potential problems and complications that may ensue in trying to remove the permanent makeup. The client should also clear all the doubts and queries relating to the color and permanency of the makeup. Before embarking on the on the removal or correction procedure, you may consider correcting it with conventional makeup to conceal or enhance the overall effect. The permanent makeup practitioners include dermatologist, cosmetologists, nurses, tattooists and aesthetician. The difference between tattoo and permanent makeup is that in the tattoo, the ink penetrates to the lower layers of the skin, while in permanent makeup it remains on the dermis. A fine needle is attached to a machine and a series of points are created in the desired area. The pigment is infused into these points. A local anesthesia may be used to avoid the pain. Permanent makeup does not take a lot of time. Eyebrows and eye liner does not take more than 3 hours while the lips may need 2 to 3 sitting with a touch up after 15 months. 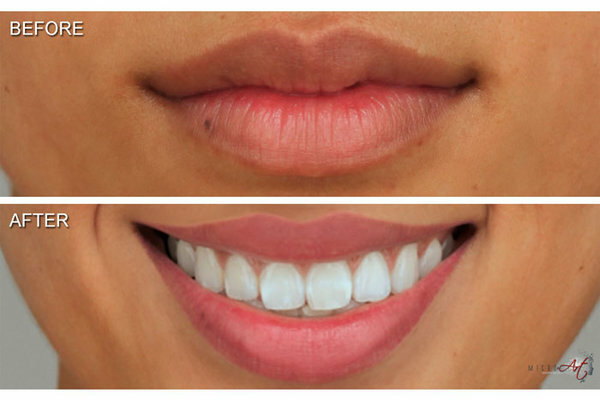 After the initial treatment, a touch up may be required after 2 or 3 months. Do not get lured by practitioners using FDA approved colors. The FDA does not approve colors for all purposes. It approves only for specific uses. You have no idea whether the FDA approved colors are applied to cosmetics, food or automotive paint. The FDA urges the consumers and health care providers to report the adverse reactions to tattoos and permanent makeup. A special antiseptic cream should be applied for the next 7 days to soothe the abraded skin. Avoid applying makeup for the next 24 to 36 hours. This will prevent the possibility of infection. Excessive exposure to the skin is also not recommended. It is only after complete healing that the real color will surface. Make sure that the salon you are visiting to get the permanent makeup should have a business license and a certificate displaying the approval of the local board of health. Determine the level of training and experience of the practitioner. Make sure the practitioner knows the correct procedures of the permanent makeup, sterilization and side effects. Try to find out how many procedures the practitioner has performed and how long he has been doing it. Do not rely on testimonials or pictures as anyone can create a fake portfolio using pictures from the internet. Meet the practitioner yourself. Make sure the practitioner takes out the fresh needle from a package and opens a fresh bottle of pigment. The application should be performed with a steady hand. Some people might be allergic to the pigments. So do a patch test before proceeding. The color should be selected and matched carefully. The allergic reactions to color pigments like the iron oxide are not very common, however, it can get quite difficult to remove the irritant. Vegetables based, natural and organic pigments are the most risky. The natural ingredients in vegetables and herbs can cause allergic reactions. The reactions could even occur years later as a rash or immune system allergic reaction. Granulomas are masses that form in the tissue around a foreign substance while keloids are raised scars or overgrowths of scar tissue. The keloids usually appear due to the removal of the permanent makeup. The biggest and most terrifying risk of permanent makeup is disappointing results. You have to try to get it right the very first time, because there is only a meager chance of getting it right the second time. It can get even more complicated after that. The use of unsterilized instruments can infect the patients with diseases like hepatitis and even HIV. Hence, it is very essential to for the artists to use protective equipment to protect the health of the client. This will prevent the transmission of blood borne pathogens. Some people have also reported swelling, cracking, scarring, peeling and burning of the tattooed areas. Serious disfigurement leading to difficulty in eating and talking has also been reported.